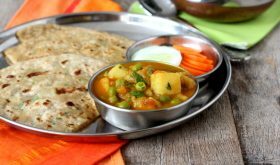 Aloo Matar ki Sabzi is one of my most favorite North Indian style recipes that I prepare often during the winter months when fresh green peas are in season. Simple, comforting, warm and delicious with sweet, spicy and tangy flavors!! 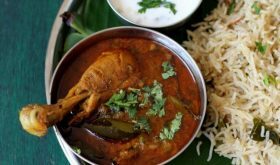 This no onion no garlic recipe is a rasawala (the consistency of the curry/gravy is thin) that makes for a perfect accompaniment with roti, puri, stuffed parathas or flavored rice like vegetable pulao or jeera rice. Ripe tomatoes are crucial so do not make this if you do not have them on hand. Ensure you blanch the tomatoes till the skin wilts and the tomatoes are soft. I like to add the stalks of fresh coriander while the curry is simmering and garnish with the leaves at the time of serving. 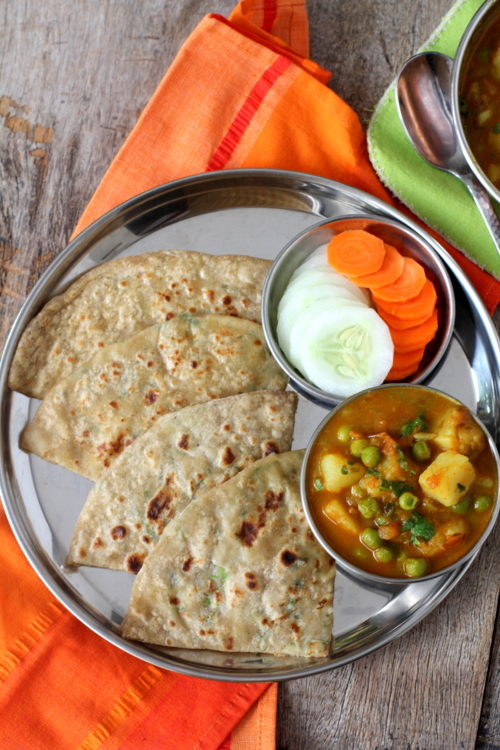 I served Aloo Matar with Gobi parathas which made for a delectable combination. Pressure cook the potatoes (without cutting them) upto two whistles or till they are three fourth cooked. Turn off flame and allow the pressure to ease. Drain the water and peel the potatoes and cube them. Set them aside. Blanch the tomatoes in hot water for 7 to 8 mts. Peel the skin and grind to a fine paste. Set aside. Heat oil in a heavy bottomed vessel, once hot, add cumin seeds and allow to splutter. Add green chili ginger paste and saute for a few seconds. Reduce flame, add red chili powder, turmeric powder, coriander powder, cumin powder and kasuri methi and 2 tbsp of water. Cook for a few seconds. 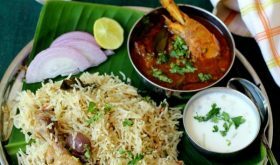 Reduce flame, place lid and cook for another 15-18 mts or till you achieve the required gravy consistency and the potatoes and green peas are completely cooked. Add garam masala powder and mix well. Turn off flame and remove to a serving bowl. Garnish with fresh coriander leaves. 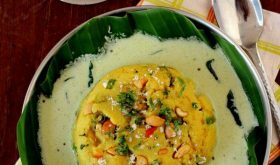 You can add a tbsp of cashew nut paste towards the end of the cooking process for a richer flavor. By Sailu Published: January 6, 2014 Aloo Matar is an easy vegetarian curry popular among North Indian food recipes. 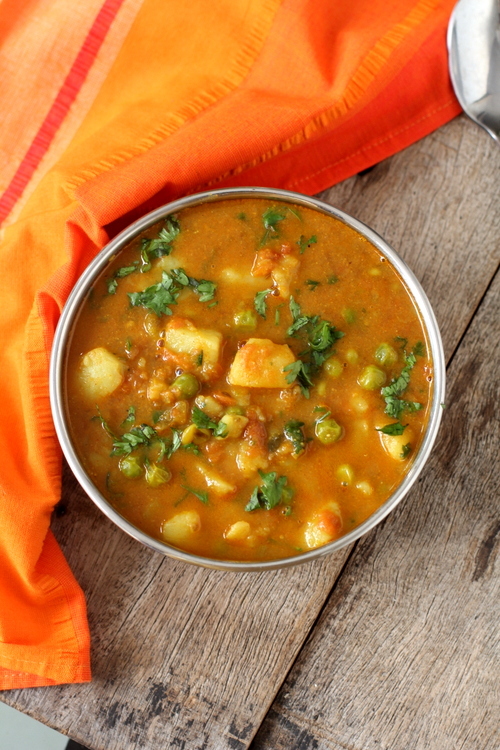 Learn how to make recipe of Aloo Matar gravy using potatoes and green peas. Basically garam masala powder is added towards the end of the cooking process to retain the aroma and flavor of the spices like cinnamon/cloves/cardamom. In some of your recipes you call for making the masala powder from scratch…can we substitute with garam masala powder instead? 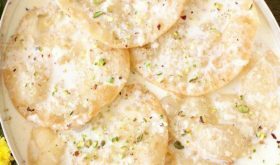 Yes, you can use garam masala powder. 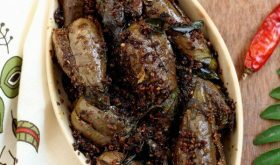 What is Kasuri methi? Can we replace it with something else or leave it out if we don’t have it? Thanks for a great/easy recipe! Kasuri methi is dried fenugreek leaves. If you do not have it on hand, omit it and follow the recipe. So delicious! I’ve made it twice now. I have been looking for recipes that don’t have fried onions just to save on time since I have two little ones. This is so perfect and without chili the kids love it too!